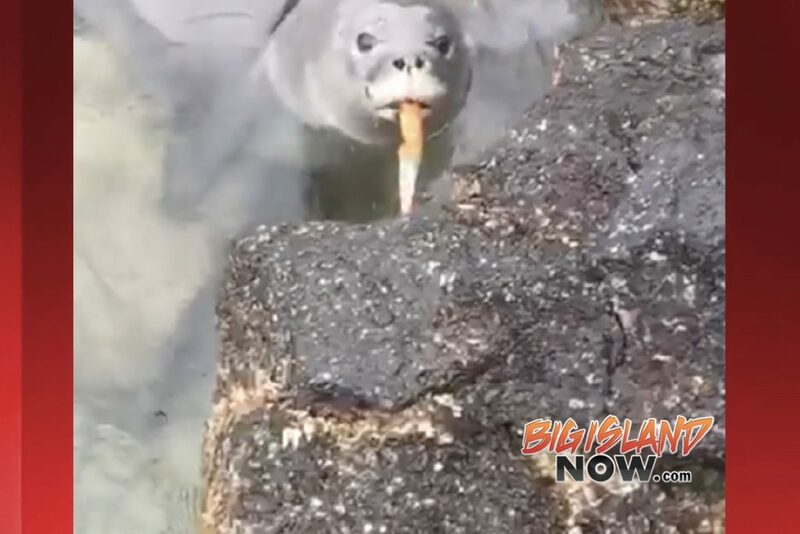 The Hawai‘i Department of Land and Resources reported that had it been something other than a sharp fishing knife, the video below may have been endearing. Screen shot from DOCARE video of Hawaiian monk seal pup Manu‘iwa with knife. A Hawaiian monk seal pup named Manu‘iwa had recently weaned from its mother on a Hawai‘i Island beach. Staff from Ke Kai Ola, a hospital operated by The Marine Mammal Center at Kailua-Kona, and officers from the DLNR Division of Conservation and Resources Enforcement (DOCARE) have been monitoring the pup’s health and growth. On Sunday, April 15, 2018, the seal was spotted playing with a bright orange object in its mouth. As they watched the seal dive beneath near-shore rocks and come back up, they realized Manu‘iwa was holding a knife in its mouth by its handle. At one point, the seal dropped the knife under the rocks and it was later retrieved. Animal experts say that it’s critical for young seals not to have human interactions so they can learn to be wild animals, especially after they’ve weaned from their mothers and are on their own. The U.S. Geological Survey reports summit deflation began the morning of Wednesday, April 18, 2018, and the lake level has dropped slightly. 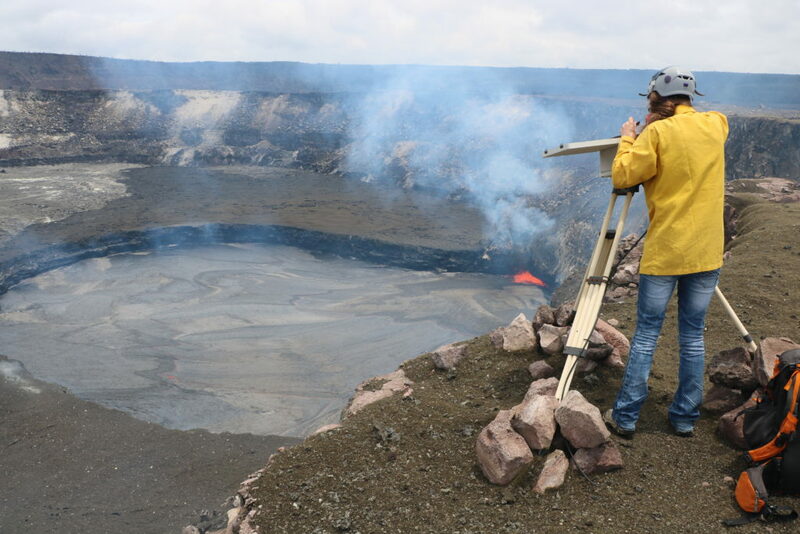 In this photo, an HVO geologist checks on a time-lapse camera on the rim of Halema‘uma‘u Crater. A large spatter site is active along the east margin of the lake. Courtesy U.S. Geological Survey. On Wednesday morning, April 18, the lake was about 14 meters (46 feet) below the overlook of the crater rim, having dropped roughly 4 meters (13 feet) since yesterday morning.